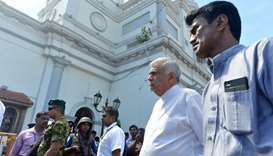 A Sri Lankan court on Sunday ordered two suspects to be remanded in custody after their arrest over the beating to death of a leopard - animals which are endangered in the country. 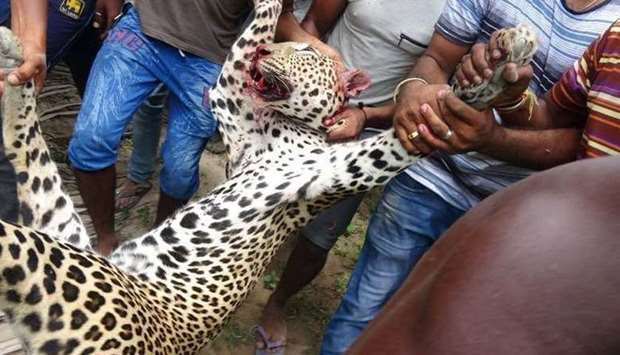 The leopard that was killed is said by villagers to have injured at least 10 people on Thursday as it hunted cattle and goats, and had eluded capture by officials. 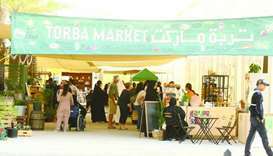 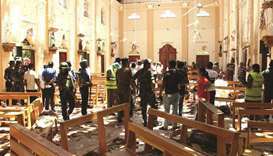 The police are continuing an operation to arrest all those responsible. 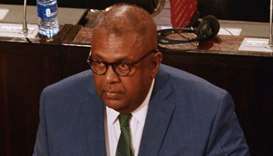 ‘The Kilinochchi magistrate remanded the two suspects until June 29 after they were produced before the magistrate on Sunday,’ police spokesman Ruwan Gunasekara told Reuters. 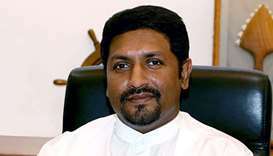 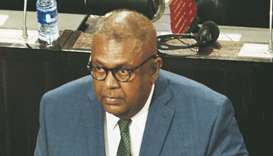 Gunasekara said the police had arrested one suspect late on Saturday and another surrendered to them on Sunday morning. Local television has shown irate villagers attacking a leopard in northern Kilinochchi district.